Although the trail is flat, much of the walking is on loose sand, which can be tiring. 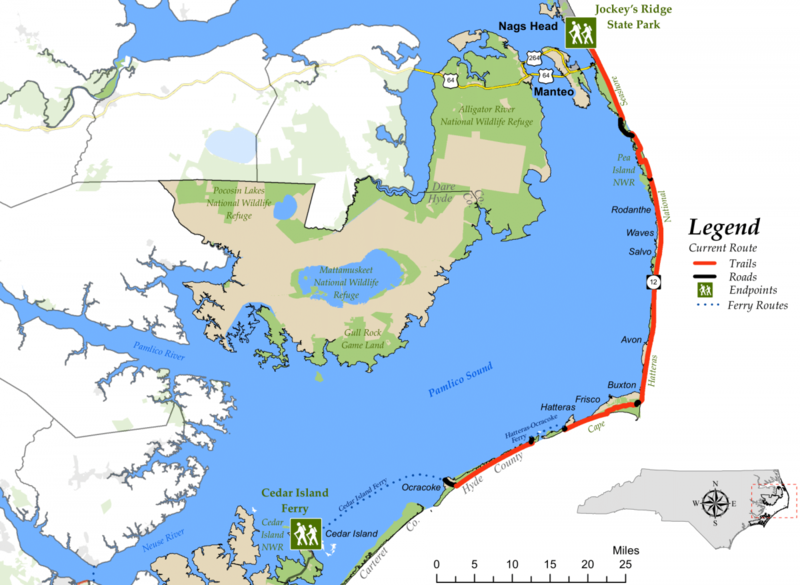 The western end of this segment is at the Cedar Island ferry terminal in Carteret County and the eastern end is at the highest point on the dunes at Jockey’s Ridge State Park in Dare County. The segment includes 82.2 miles of trail plus two ferry rides. 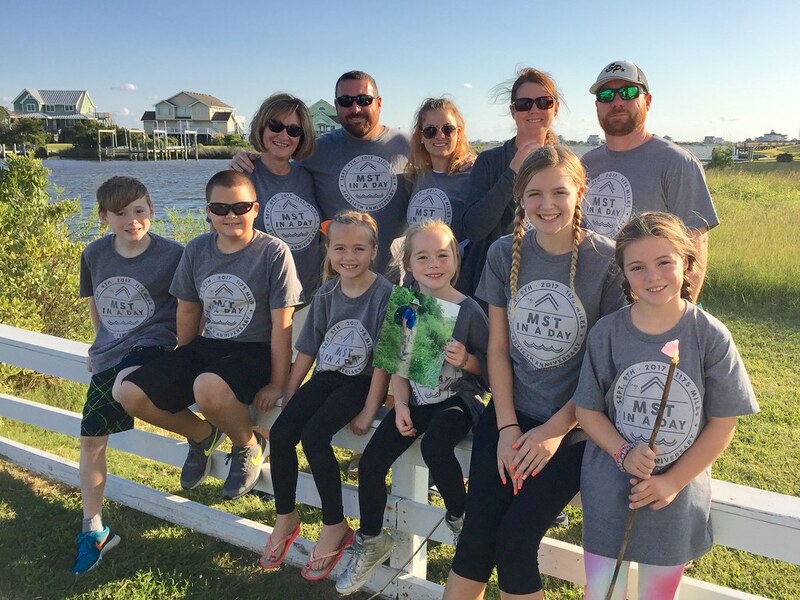 The ferry between Cedar Island and Ocracoke Island takes about 2½ hours, and the ferry between Ocracoke and Hatteras Island is about 60 minutes. 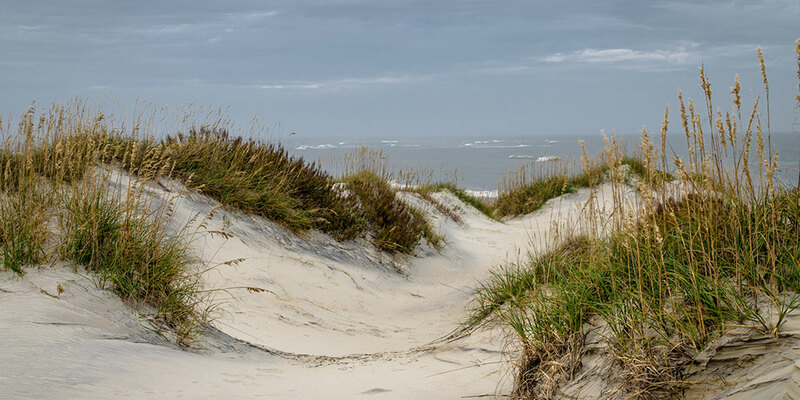 Because most of the trail in this segment is on loose, sandy beaches, it is not recommended for bicycles; however, NC 12 parallels the trail almost its entire length and is a good alternative for cyclists. Cape Hatteras Lighthouse, at 208 feet the tallest brick lighthouse in North America, and the most recognized symbol of the Outer Banks. It is open for climbing in the summer.